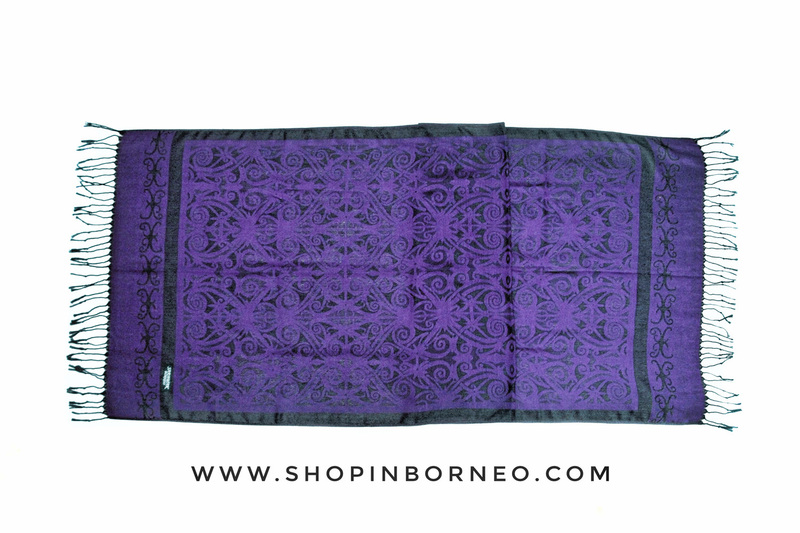 The shawl shows the tribal designs of the native arts of Sarawak. These shawl is mixed cotton, very light weight and soft to touch. It can be used to wrap around for the cool breeze.